"Become as the Gods Edition." Square Enix has announced NieR: Automata Become as Gods Edition for Xbox One. It will launch digitally on June 26. In the first of many exciting E3 announcements, we’re excited to announce that the critically acclaimed NieR: Automata is finally coming to the Xbox Store as the NieR: Automata Become as Gods Edition on June 26, 2018. 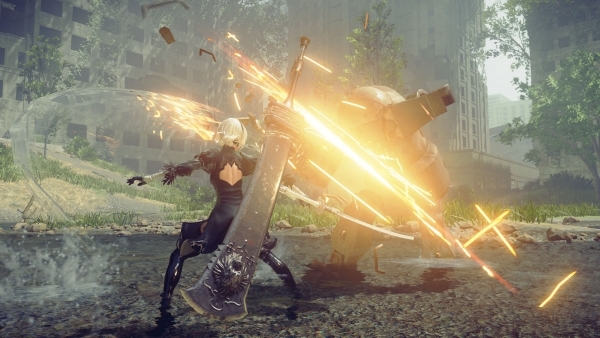 Players will be able to enjoy the notable action-packed battles, beautiful open-world, wonderfully crafted story, and elements of classic Square Enix action-RPG, and explore the iconic futuristic dystopian setting of NieR:Automata. Watch the Xbox One version announcement trailer below. View a set of screenshots at the gallery.